After starting out in the world of online advertising, programmatic buying has been extended to fields as diverse as mobile media, cable and satellite TV, out-of-home advertising, and broadcast radio. But print has remained largely untouched -- until now, that is. This week Time Inc. announced a collaboration with MediaMath that will make print magazine audiences available to advertisers using its programmatic marketplace. The new programmatic print buying option allows advertisers to target major audience segments like women, men, lifestyle, luxury, business and finance, and “rapid scale,” with more segments to come. Spanning eighteen of Time Inc.'s print brands, these audience segments range in size from five million to 89 million readers. The programmatic platform will allow marketers to target the same audiences via digital display ads, enabling combined print-digital campaigns. The programmatic print sales are available via an interface that operates in conjunction with Time Inc.'s existing Global Exchange, a private marketplace for its digital ad inventory powered by Google's DoubleClick Ad Exchange. The publisher is also providing post-campaign measurement via a partnership with AdMeasure. There are some limitations on the programmatic print sales: advertisers can choose audience segments but not specific titles, and they can't currently import their own data for targeting print buys. However they may be able to do so in future. Target is one of the first advertisers to use the programmatic print-buying option for a campaign across multiple Time Inc. titles, executed by its media agency Haworth, including placements in People, Time, Entertainment Weekly, and Sports Illustrated. As noted, programmatic buying has been popping up all over the traditional media landscape recently, at least at an experimental level. Last year audio ad tech firm Jelli, which once specialized in social radio programming, reinvented itself as a programmatic platform for broadcast radio ad sales. And in December Posterscope launched a real-time trading platform for digital billboards in collaboration with data company Vistar Media, with partners including Outfront Media (formerly CBS Outdoor) and Lamar. 9 comments about "Time Inc., MediaMath Partnership Brings Programmatic To Print, Enhances Audience Targeting". Ed Papazian from Media Dynamics Inc, February 11, 2015 at 7:21 a.m. I assume that this refers only to digital sales on the Time Magazine websites and other electronic venues, not to the printed copy editions. If so, "programmatic" selling has not come to print media, as implied in the headline, but merely to the digital platforms owned by a print media company. Ari Rosenberg from Performance Pricing Holdings, LLC, February 11, 2015 at 9:38 a.m.
Ed I am trying to discern the same thing -- Erik Sass can you please clarify for us? Erik Sass from none, February 11, 2015 at 9:48 a.m.
Ed Papazian from Media Dynamics Inc, February 11, 2015 at 10:45 a.m. Thanks for your clarification, Erik. It seems that the term "programmatic" is now being applied to almost any form of automated book keeping, data or avails transfers, ad scheduling, etc. and not the actual buying and selling of ad time/space, which is what it is supposedly doing for many digital buys. I think that this is an understandable promotional exploitation of "programmatic", which is a much discussed subject these days, so I get why that word is used----it catches the reader's attention. Unfortunately, this is not what the debate about programmatic taking over TV time buying is all about. The theorists who are promoting programmatic buying for TV are promoting a system that examines a vast array of alternative media buys, relative to cost efficiency and audience targeting, then comes up with the "best" buy for the advertiser. So far, the "programmatic" TV buys that have been publicized involve only one seller and one buyer; moreover, the spot TV tests that are also underway are not about buying and selling but, mainly, the attendant paperwork, both before and after the buy is made. 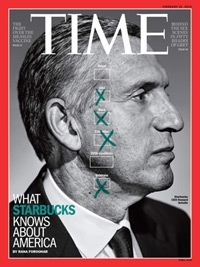 It appears that Time Inc's use of programmatic falls in line with the others we are seeing, so, I'd suggest that, in the future, a distinction be made between the crucial decision making involved in buying and selling as opposed to the easing of communications and the flow of data, paperwork, etc. Otherwise, the reader may be mislead. Erik Sass from none, February 11, 2015 at 11:10 a.m.
Hi Ed, Good point, I will try to make that distinction clear in future. I agree, it seems like the definition of "programmatic" has been expanding to include all kinds of buying systems that employ automation anywhere along the process. My understanding of the original meaning of programmatic was that it allows marketers to set criteria ahead of time and then automatically trigger (digital) campaigns when those criteria are met. Including price criteria, RTB, and so on. Is that close to your definition? Ed Papazian from Media Dynamics Inc, February 11, 2015 at 11:15 a.m.
Erik, I'm not an expert on digital programmatic but I think that your definition is pretty close to the mark. I leave it to those who are actually involved to offer a better definition. Erik Sass from none, February 11, 2015 at 12:22 p.m.
Ok, we are all ears if any experts would like to weigh in on the most up-to-date and precise definition of "programmatic buying"… Just leave a comment with your take, thanks! David Krulewich from Connexity, February 11, 2015 at 1:23 p.m.
Ed - While I understand the confusion, Erik's use of the term is correct. Programmatic by definition means "of relating to or having a program" In media, Its about leveraging technology to systemically buy and sell itself based on a set of criteria. When you discuss the debate in TV, it sounds like your referring to RTB which is one form of programmatic, albeit the most widely used form in digital today. It sounds like what Time, Inc. is doing here with their magazine inventory is more of a 'programmatic direct' approach while also providing access to their audiences across platform for greater scale. Ken Nicholas from VideoAmp, March 30, 2015 at 8:38 p.m.
Erik does talk in the article about programmatic print sales, and that 'advertisers can choose audience segments but not specific titles'. But I'd also say to Ed's point, that this is now kind of yet another new permutation on how the term is being used, and is for sure in quite a different sense than how it has [recently] been adapted for TV, as David states.